“..You should always come on with a bang….Everything can be done with drama. Even a pancake.” thank you, dearest Julia Child. 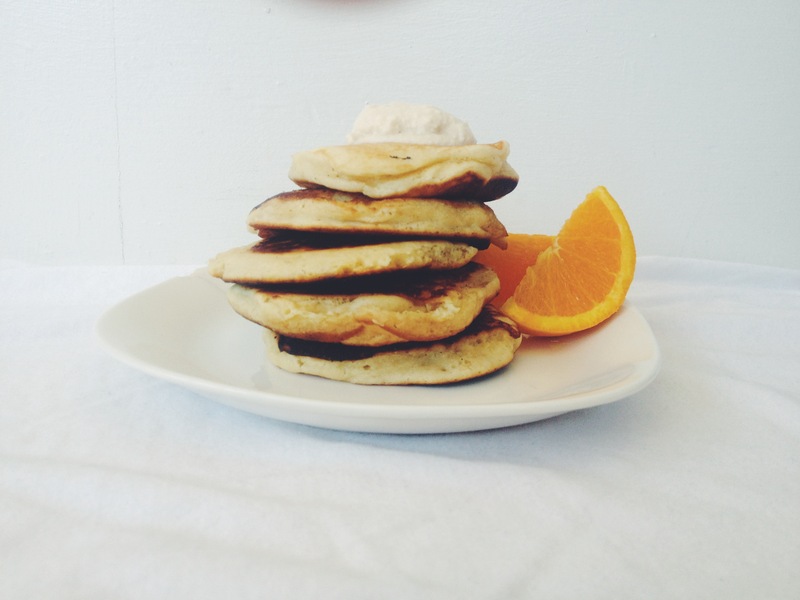 The very first time I had Ricotta Pancakes was just two months ago, in New York City. We were staying with some friends for the week, and enjoying their neck of the woods: Williamsburg, Brooklyn. Described as a “hub for indie rock, hipster culture, and the local art community.” this town is swell. It was a beautiful fall day, and sweet Mel recommended a charming little corner cafe for breakfast, called Five Leaves. 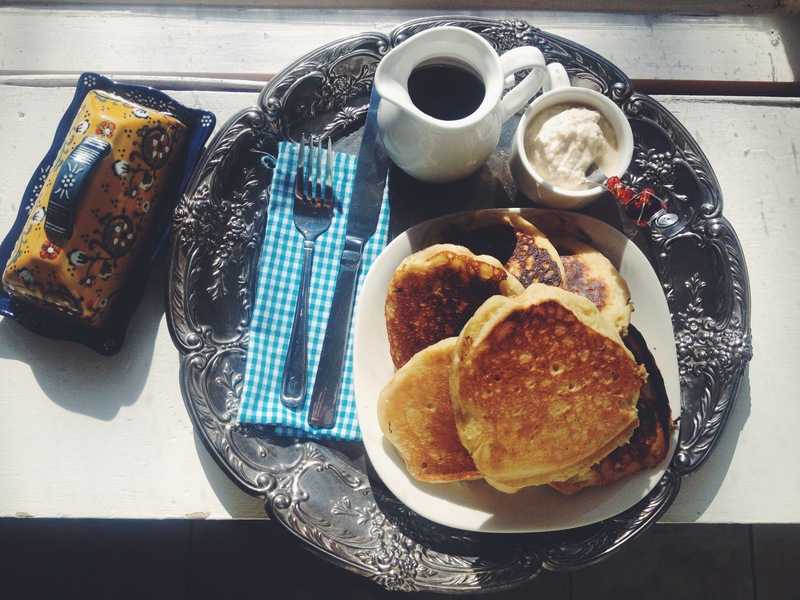 I’ve craved Ricotta Pancakes ever since. Here’s the scoop. You see, Ricotta cheese doesn’t really taste cheesy. It adds this marvelous creamy-ish texture to the batter, which provides a distinctive and delicious breakfast experience! My recipe below feeds 2-3 people. Double it up, if you’re feeding more! **if you don’t have buttermilk, add < 1 TBSP lemon juice or white vinegar to half and half instead. Mix it before adding to the remaining ingredients. Separately, mix the dry ingredients and the wet ingredients. Then combine them. 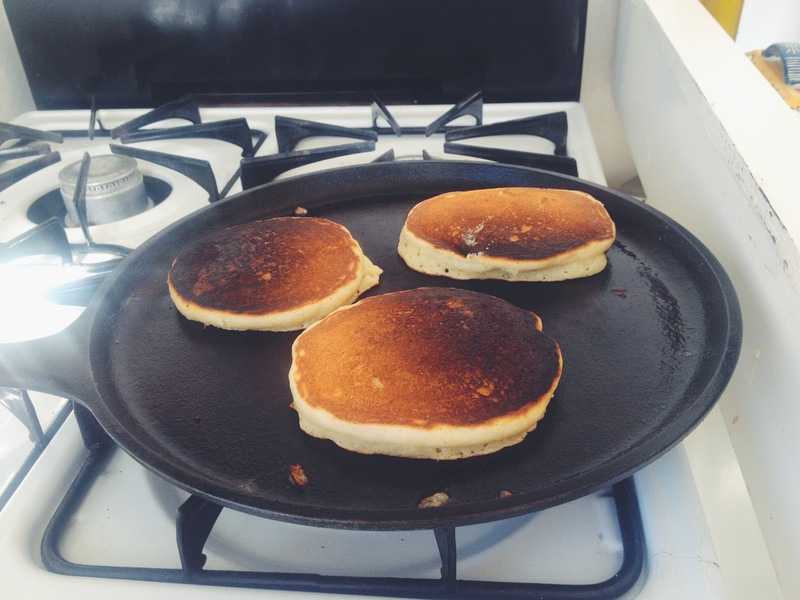 Place an iron skillet or regular frying pan on the stove over medium heat. Grease with butter or coconut oil. I then use my 1/4 measuring cup to scoop out a heaping, perfectly sized pancake. I recommend cooking on low-medium heat to prevent burned outsides and gooey insides. This batch was a bit well-done as you can see, but they still tasted too legit to quit. Once they are cooked, I highly recommend that you make some Ricotta Vanilla Cream topping! 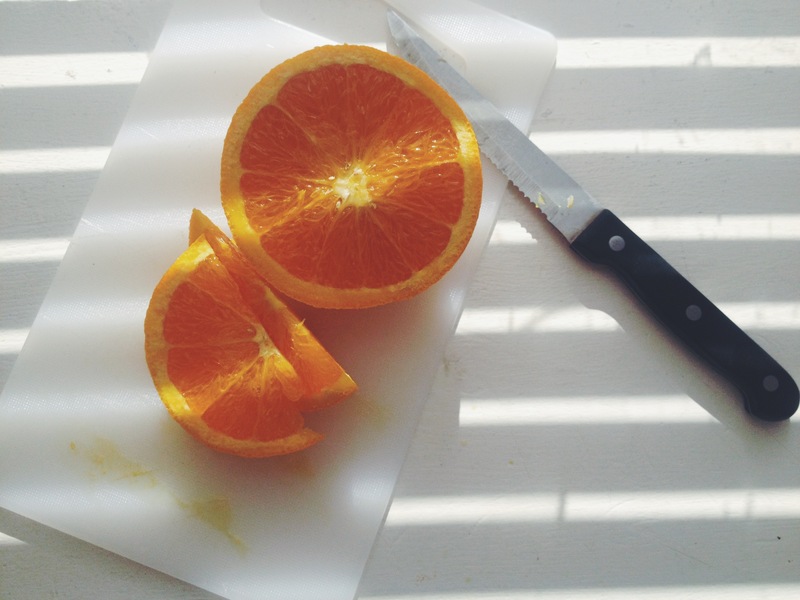 Add some fresh fruit on the side!